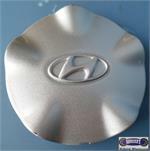 3008a-R-1, CENTER CAP USED, REAR, 91-94, FORD, MACHINED FINISH, FORD LOGO. 5 PLASTIC CLIPS & STAR WIRE RING. 6-3/16" DIA. 3008aR-1, CENTER CAP USED, REAR, 91-94, FORD, EXPLORE, RANGER. BRONCO, MACHINED FINISH WITH FORD LOGO. 5 PLASTIC CLIPS & STAR WIRE RING. 6-3/8: DIA. FOR A 15" RIM AR-2=ROUND WIRE RING. 3675b, CENTER CAP USED, 07-09, LINCOLN, MKX, CHROME PLASTIC CAP, BLACK ETCHED WORD LINCOLN, BLACK BACKGROUND, RAISED LOGO, 6-3/16" DIA. 3701a, CENTER CAP USED, 08-10, FORD, EDGE, CHROME PLASTIC CAP, 5 LUG NUT HOLES, BLUE FORD OVAL, 5 PLASTIC CLIPS, STAR WIRE, 6-3/16" DIA. 3701a, CENTER CAP USED, 08-10, FORD, EDGE, CHROME PLASTIC CAP, 5 LUG NUT HOLES, BLUE FORD OVAL, 5 PLASTIC CLIPS, STAR WIRE, 6-3/16" DIA. FOR A 20" RIM. Price: ORDER UNDER 3675a CENTER CAP. 62264a/62233, CENTER CAP, 90, NISSAN, AXXESS, DULL SILVER, ENGRAVED WORD NISSAN IN CENTER, PLASTIC CLIPS, 6-1/4" DIA, FOR A 14", RIM, ALUM, 9 GUM DROP HOLE, ORDER UNDER 62233 CENTER CAP. B=BLACK.